So far this is a timid little doggy that is submitting to our first dog, Trixie, quite nicely. He doesn’t know how to bark yet, but oh can he whine when we put him in the crate. Crate training is not for the faint of heart. Nor for those who don’t like to wear earplugs. He is just darling when he runs and jumps. We only had a little black collar with rhinestones on it… so a more masculine collar along with an engraved tag are the order of the day tomorrow. Ringo has already had eleven visitors and everyone made sure they pet Trixie! Such thoughtful friends! 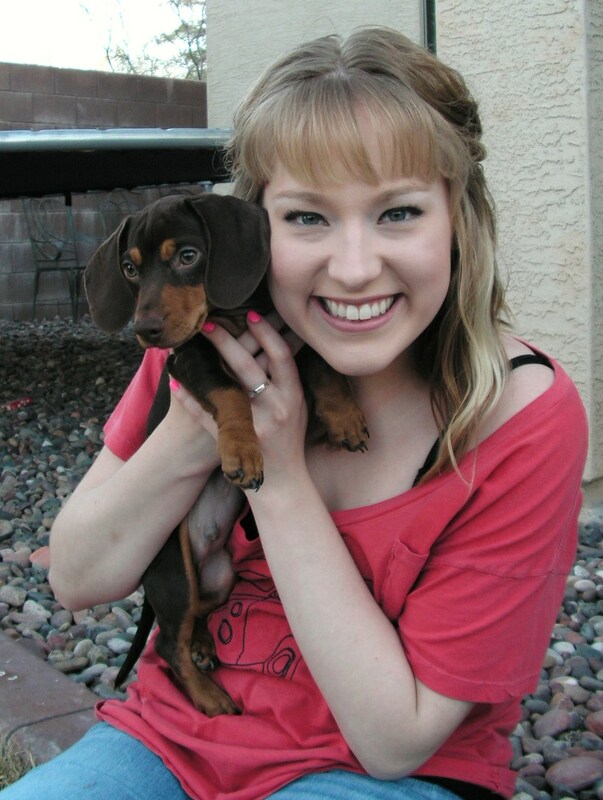 Larisa has wanted a dachshund puppy for YEARS. I’m not even sure how many years. Lots. Needless to say, she is one happy camper. And THAT is why I haven’t posted this week… I’ve been gone… and busy. I came to Bloomfield to speak at a Fashion Share put on by my friend Darla’s Mom’s church. The day was a great success with ladies luncheoning on fabulous salads, rolls and cobblers, shopping for new-to-you clothes and listening to special music and speakers. I was blessed to be included and loved meeting the ladies. FUN with a capital F.
This area is simply beautiful right now with the leaves changing to bright yellow and the air being crisp and clean. I know it is nice at home in Phoenix too FINALLY, but not like THIS. There was frost all over this morning. Ah. That’s it. Just Ah. The flight up here was highly entertaining as I sat next to Kenadee, the four year old who never stopped talking unless she was shoving peanuts in her mouth. Thankfully she is darling and I enjoyed the interaction on the one hour flight. (I may have had a different opinion on a much longer flight.) One morning here at her grandma’s house I was fixing some toast for her and her sister and she told me, “You’re just like a real mom!” Wow! I’ve made it! A REAL mom. I can’t remember if I’ve mentioned that my mother just had knee replacement surgery 10 days ago. So we’ve also been busy helping up at her house cooking, replacing ice packs, pulling on support hose, etc. etc. etc. Thankfully, my sister Christy flew in from Washington to help while I was here… and thankfully she’ll still be there for four days after I get home. Sisters (who like each other) should not live three states apart. I look forward to getting home. Two trips in three weeks was a bit much for me and our haphazard homeschooling this past month. THAT is why we started two weeks earlier this year, so I wouldn’t feel guilty about leaving. But it didn’t work. We started two weeks earlier, but I still feel guilty about lame schooling. It’s kind of like home schooling, only lamer. Presenting the Newest Member of the CWDT!!! They had to send in 2 scrapbook page layouts, 2 cards and some other non-card or page craft deal to show their versatility and creativity. So, she’s on the team for eight months and will be given supplies to create six projects that will be used in stores for examples and in their advertising online and in mailers. So cool. But that’s not the coolest part…. 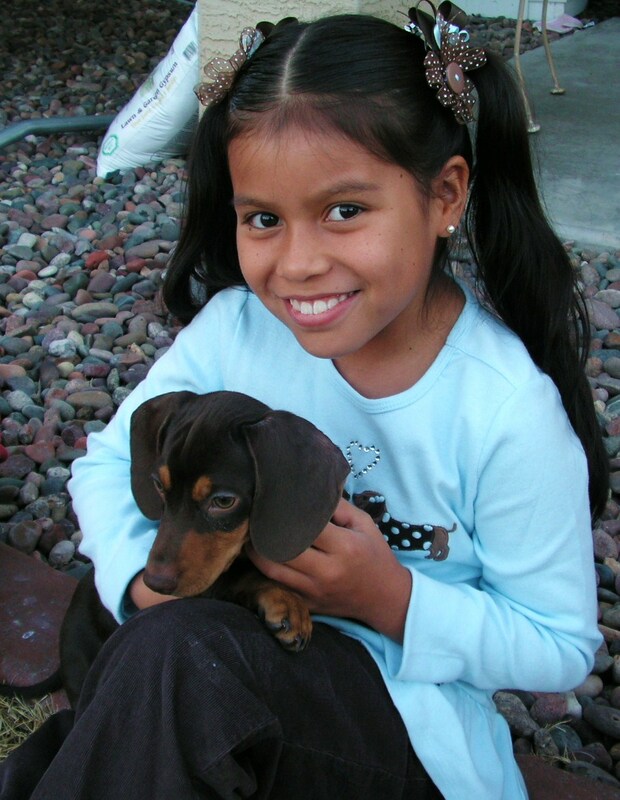 she receives $500 of scrap supplies for her own use…. BUT it’s with a 20% off discount… so I’ve already figured it out for her husband, Brian… THAT’S $625 worth of bling bling goodness. I’m so proud of her! And I’m so glad our mother taught us to share. Some background is needed here so you truly understand the importance of this moment. I was the creative child with the glue-gun on my belt. I lived for visits to Craft Barn. Christy was born with a microphone in her hand. She sang her whole life and claimed that she wasn’t crafty at all. Her degree is in Vocal Performance. My minor is Art. Christy didn’t do a crafty thing until she was forced to after she moved away from Mom and I. Then, like a butterfly emerging from its cocoon, Crafty Christy was born. She started designing greeting cards that were sold to the public in stores. 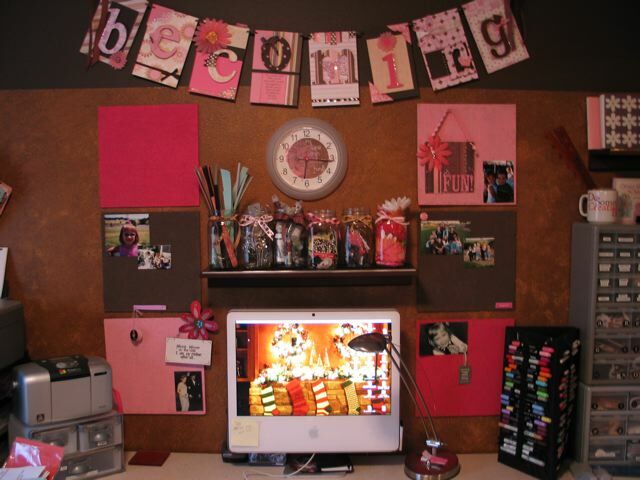 And her scrapbooking was transformed from the stickers and wavy scissors to what it is today… gutsy, bold and blinged. And to think that I taught her all she knows! Oh, it makes the tutor so proud when a pupil reaches such grand heights. My baby sister, Christy, has made it to the blog world. Finally her youngest started kindergarten and she doesn’t know what to do with herself now. The bon bon box is empty. It’s a natural transition from busy mom to blogstar. Please go read her posts and comment on how darling her children are. She’s over there in my blogroll under Christy B’s Blog. She grew up thinking that she wasn’t craftsy (different from crafty) because I was the older sister, born with a glue gun in my hand. Well, she sang and sang and sang (til we were all pretty sick of it… well, not mom.) 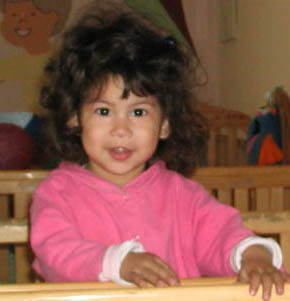 from age two on and has a fabulous voice and majored in vocal performance. Our parents always encouraged us in our separate talents so we all thought we were stars. :o) Anyway, all that to say, she moved to Washington state and grew a craftsy arm and now makes FABULOUS scrapbooks and cutesy cards that she SELLS in a little boutique. She made the jar and journal pictured at the top of this blog. And her scrapbook room is to die for…. right off the kitchen for easy scrapability. I’m completely envious. Christy, you should do a blog on your scrap room. Seriously. It’s its own work of art… all matchy matchy in brown and pink. Too cute. OK, I might even have a picture of it…. YES! And that’s only the main wall… there’s shelves and boxes and all cute brown and pink stuff. She even made the clock match with pink bling bling. Soon she’ll be changing the letters on the hanging sing to BLOGSTAR. Just you watch. Welcome, Christy! I look forward to reading your writing. You always keep me laughing. Zaza could look like this lil’ darlin’. Tomorrow is officially the start of our sixth month of being waiting parents for our little Colombian daughter. Adoption is a weird deal. It messes with your emotions. You get hooked on the idea and you cannot stop the daydreaming about your child that you haven’t met. There were several little girls Zaza’s age around the house this week. They are busy little bees. It makes me question our advanced ages for adopting a 3-5 year old. I just keep quoting my mantra, “I was in my thirties when she was born. I was in my thirties when she was born.” It makes me feel like I’m youngish and ready for a pre-school age child. DRE-E-E-E-EAM, DREAM DREAM DRE-EAM. On nights like tonight when I’m dead-dog tired, I wonder if I will hold up like the days of old when I had my first go-around with young children. Looking back I seemed invincible. I handled it all so effortlessly. I’m not feeling invincible these days. And nothing is effortless anymore. Is it my age? Or is it just the pre-camp counselor blues? Did I mention DEAD-dog tired? On a cherrier note, I cannot wait to hold Zaza in my arms and kiss her and wet her black hair with my happy tears. I’m sure that’ll be a new deal for her… someone that is so happy to see her… overcome with joy… and crying crocodile tears. I’m not the poker face type. I’m more the wear-my-heart-on-my-sleeve type. I think Zaza will appreciate it… on maybe the eighth day, or ninth. Mama’s coming, Zaza. Hold on, girl!